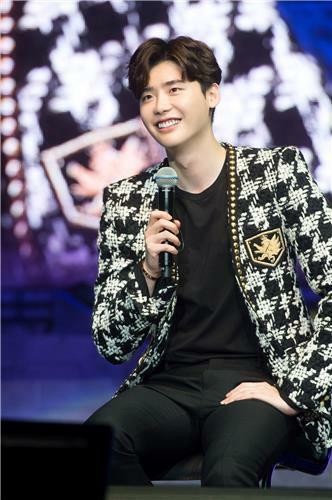 SEOUL, Sept. 11 (Yonhap) — South Korean actor Lee Jong-suk revealed to his fans that he was “recovering from a slump” during a fan meet-and-greet event, his agency said Monday. 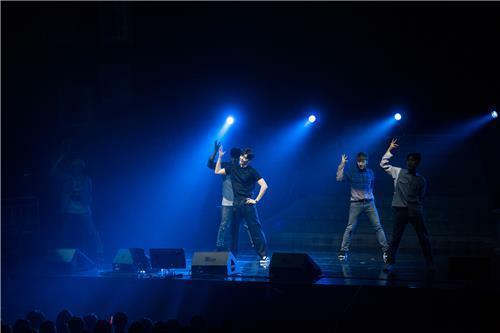 The actor met with around 3,000 fans at Olympic Hall in Olympic Park, eastern Seoul, on Sunday. During the event, he admitted to the mental struggles and said meeting with his fans helped him a lot in overcoming them, according to YG Entertainment. “I’d fallen into a slump before I filmed ‘V.I.P.,’ and I am overcoming it now. I learned a lot from senior actors (while filming the movie), and I think I am nearly out of it,” Lee said. To entertain fans, he sang songs, shared with fans his childhood photos and showed off dance moves of Psy’s “New Face,” while fans cheered for him. Actor Yoon Kyun-sang from tvN’s reality show “Three Meals a Day: Sea Ranch” attended the event as a surprise guest. Lee, in turn, made a surprise appearance at a yet-to-be-aired episode of the reality show. Singer and actress Bae Suzy also popped up on stage. She co-stars with Lee in the soon-to-be-aired drama “While You are Sleeping” on SBS TV. I think you are a great person. Be good to yourself!You are the best. I also think that you are a great actor. Be the best you can be.You have to love yourself first.Be well & stay healthy!! Good luck! Apple’s new iPhone was just announced. Here’s everything we know about the iPhone 8 and its big sister, the iPhone 8 Plus.